Perfect for a person with a passion for animals, this established pet sitting and dog walking business was started in 2006 and has a solid and growing repeat customer base. The service area spans over the most affluent areas of the North Dallas and West Plano making it ideal for continued growth and expansion. Tailored services give pet owners peace of mind that their pets will be well-cared for in their own familiar surroundings, when they are away. Also that their home will be looked after. Workers are bonded and insured through the company, pet first aid certified, and have passed a comprehensive background screening; an added benefit to customers knowing they are utilizing a professional and reputable business. 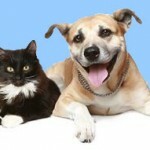 This rewarding opportunity is both enjoyable and profitable – ideal for an avid pet lover. This is a home based business. Owner financing available………………..